At the ‘end of the road’, sitting on the edge of the Atlantic – under Ben Hogh and its balancing stones – is Ballyhaugh. Come and hear about how Ballyhaugh has transformed from being a working farm (for over 100 years) to now providing the headquarters for Project Trust – a leading gap year company that has been based there since 1988. We are delighted to bring together a panel of speakers to share and compare their personal and unique experiences of Ballyhaugh, and to discuss the changes that have happened over the years. 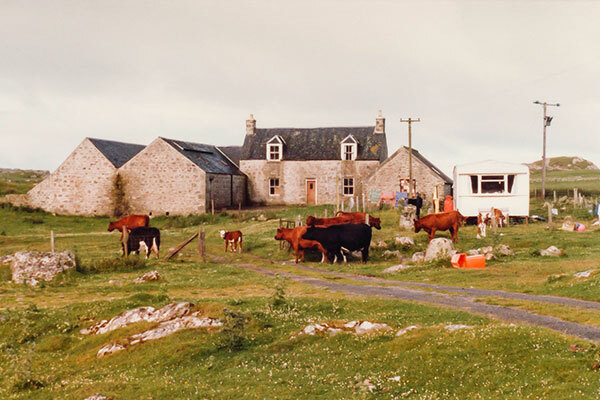 Born in 1936, Minnie McGhee (nee MacFadyen) is the oldest surviving person to be born at Ballyhaugh farm, which was her family home until she left Coll to get married in 1958. Nicholas Maclean-Bristol, who received an OBE for his services to Project Trust, founded the charity and led the decision to base the headquarters on the Isle of Coll. John Fraser is the Overseas Director and Assistant Director of Project Trust and has worked for the charity for the entirety of his professional career.